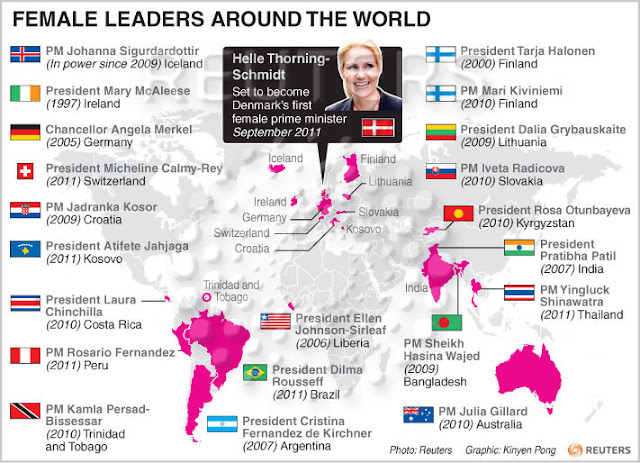 There are very few countries in the world with women leaders at the helm. In India, we have Pratibha Patil in the largely ceremonial role as the President of the State. 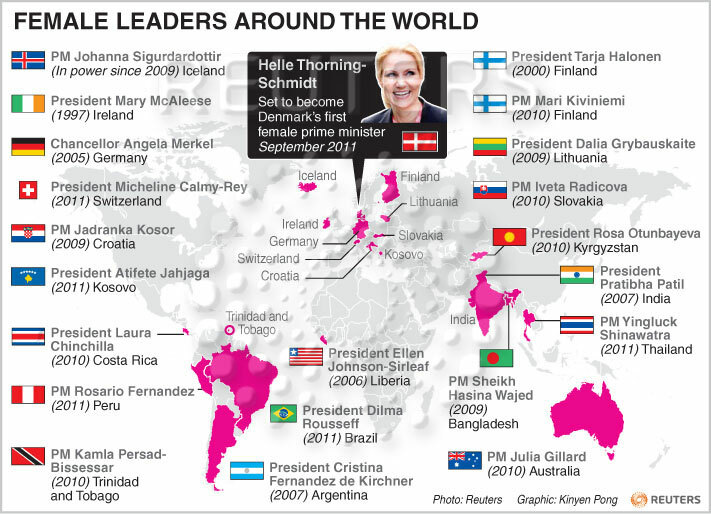 On the Reuters blog, I found this interesting infographic that details various women political leaders, either in executive or ceremonial roles. Look at the 2011 names, like Dilma Rousseff (Brazil) and Yingluck Shinawatra (Thailand); they might just make an appearance in one of those GK sections in the SNAPTest / IIFT / IRMA, or any exam with a GK section! Click on the graphic for a larger view. WOMEN CAN DO MUCH MORE THAN MEN...!!!! Sir,I think a question had appeared in kaun banega crorepati about which country saw the first female pm in 2011.Answer was Denmark. i dont understand the 2 people who ticked stupid for this post!!??! !